Sónia Monteiro is currently the Head of the Healthcare Business of the group and General Manager of Sphera Bluoshen, a healthcare and insurance company. She has a degree in International Relations from the Lusíada University in Portugal. Ms. Monteiro started her professional career at the Ministry of Foreign Affairs of Portugal as intern at the Department of Sub-Saharan African Countries. Then she assumed an advisor position at the Permanent Mission of Cape Verde to the United Nations. She co-chaired the technical negotiation of the United Nations Global Plan of Action against Trafficking in Persons and the United Nations Voluntary Trust Fund for Victims of Trafficking in Persons and she participated in several high level meetings of the UN General Assemblies. As Director of Cabinet of the Director-General of Movicel Telecommunications, the second mobile operator in Angola, she has participated and coordinated international negotiations with BlackBerry (RIM) and China Development Bank (CDB). 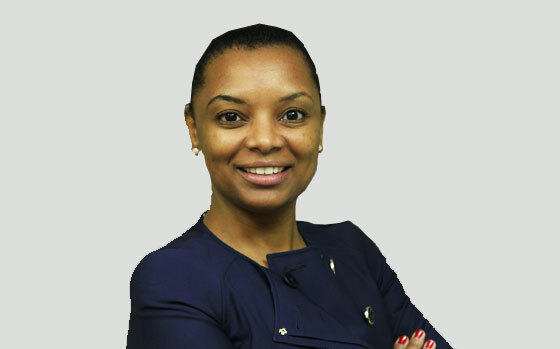 Currently, Ms. Monteiro is a member of the Board of Duplo C, a Transportation Company; Senior Project Consultant at Bluoshen S.A., and Management Consultant at China International Fund.